Join me Thursday evening, June 21, for a special night of Vincent wines at Dame Restaurant in NE Portland. I’m pairing up with the restaurant to offer a series of specially picked wines to match that night’s menu offerings. Simply make a reservation for that evening and come enjoy the full restaurant menu with Vincent wine pairings. I’ll be there to chat and answer questions. Earlier this year, I did a dinner at Dame for the Classic Wines Auction dinner series and it was fantastic. Can’t wait for the 21st, hope to see you there. Reservations not required but highly recommended. This entry was posted in Uncategorized on May 31, 2018 by vincentwines. 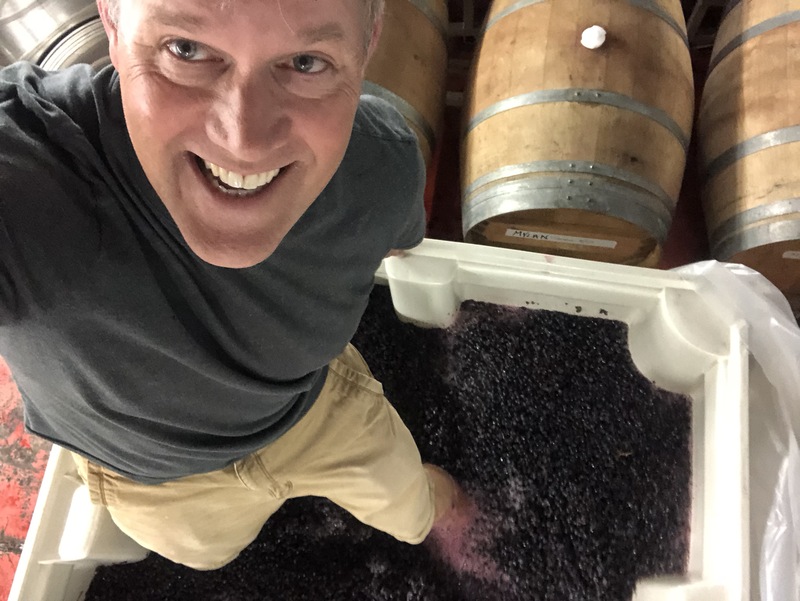 I’m a wine geek in Portland, OR, who found the wine internet 20 years ago and began connecting with people in and out of the industry who shared a passion for wine. Back in 1999, one of them invited me to help in the vines and then the cellar back and I was hooked. After many years apprenticing, I launched Vincent Wine Company in 2009 and went full time in 2015. 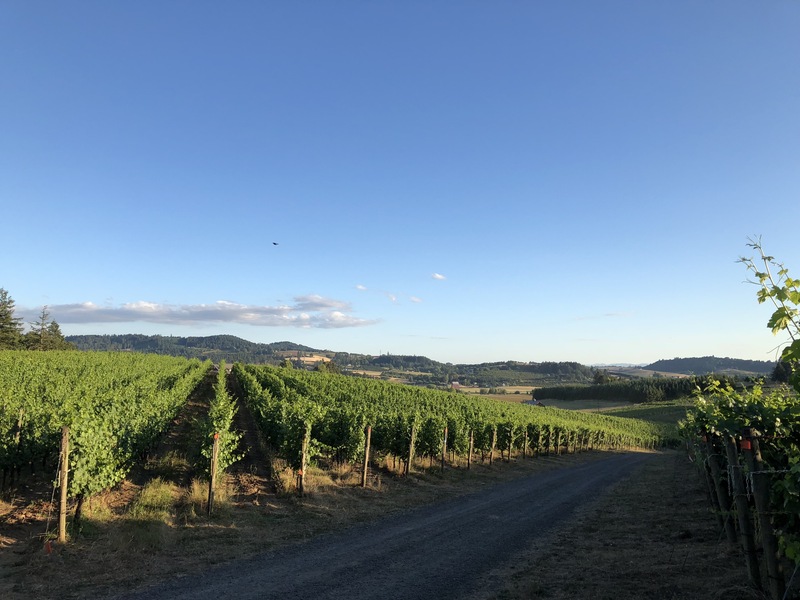 I make wines from the Willamette Valley, I don’t own any vines but work very closely with my growers who farm specific parcels in their vineyards for me. I focus on Pinot Noir but also make red wine from Gamay, as well as whites from Chardonnay and Pinot Blanc. I’m not dogmatic about growing grapes and making wine. I’m inspired by the legends of the wine world, new and old, and not just Pinot Noir makers. But something I’ve found with most of the greats – technique is minimal. Like with great cooking, you work to get quality ingredients and then prepare things very simply to let the essence of the thing shine. Farming at the vineyards is at least sustainable if not organic at every site. Winemaking is all natural for primary and malolactic fermentation. I destem mostly but can use 20-30% of whole clusters in some red ferments. Physical extraction is minimal, I find the structure I’m looking for means no more than one punchdown a day, if that. With whites, there is no lees stirring unless a barrel has fallen clear before fermentation is done. I use mostly older barriques but there are usually some newer barrels in the mix, never any brand new wood though. I don’t filter and don’t make adjustments (with rare exceptions). I do use sulfur judiciously, much as I would refrigerate raw milk. In sum, I believe that the most interesting, delicious wines I can make come from a hands off but careful approach. For more background on me and Vincent Wine Company, listen to my GrapeRadio podcast episode that came out last year. And of course this web site has tons of information about what I’m up to. A note on BerserkerDay IX – the anniversary of the founding of WineBerserkers.com is a great event each year. I owe much of my wine knowledge and appreciation to people I’ve met through the wine internet over the years. Wine Berserkers has been especially innovative by connecting wine lovers and industry in a straightforward way, mostly because we’re all wine geeks. BerserkerDay lets producers embrace the Berserker madness and make some crazy good deals that all of us can take advantage of. I’m offering wines again this year, but I’ll also be buying some things too. Enjoy! This entry was posted in Uncategorized on January 23, 2018 by vincentwines. Sign up for my Vincent mailing list and you’ll get my new pre-release offer that comes out in February. 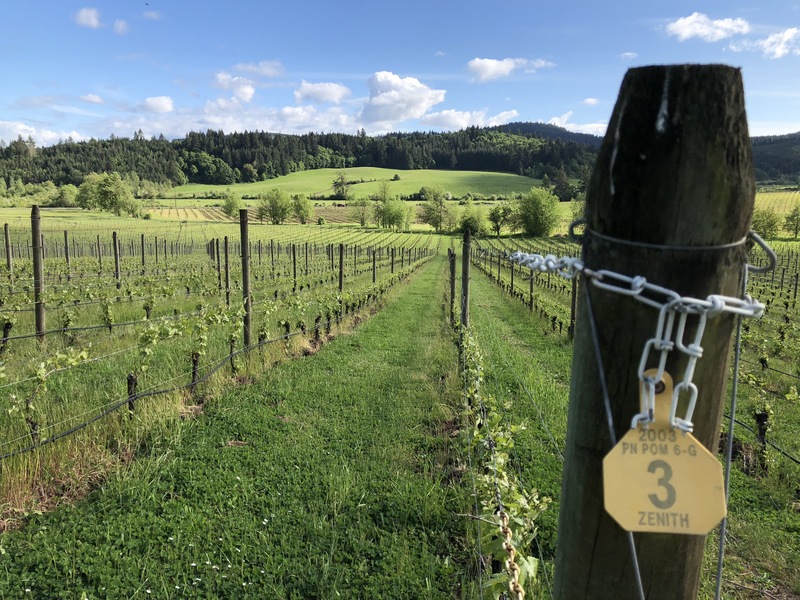 It’s for the six wines I’ll officially release this Spring, but mailing list members always get first access to new wines at special pre-release pricing. There’s never any obligation to buy, so join the list and at least check out the offer to see if there’s anything you like. The six wines coming out this spring include two special whites as well as the first of the 2016 single vineyard Pinot Noirs. The vineyard wines are all the best barrels of these excellent Eola-Amity Hills sites. 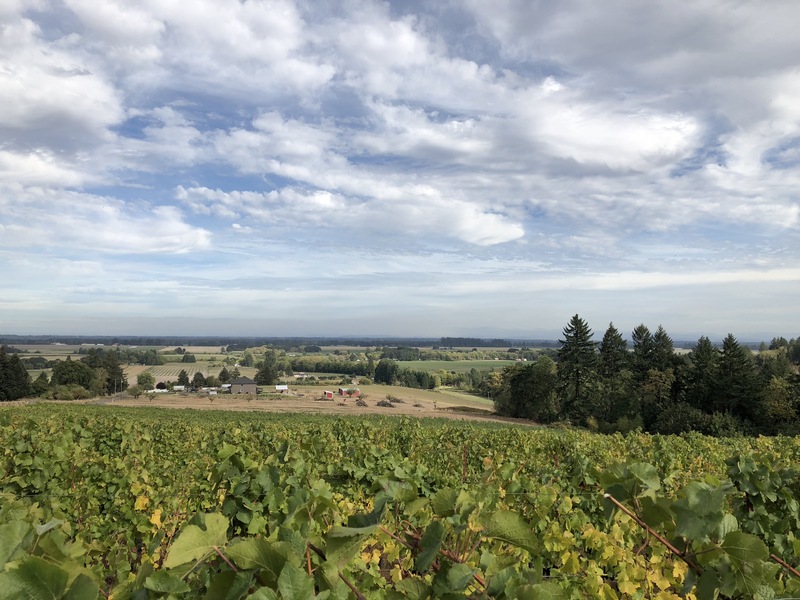 The Eola-Amity Pinot Noir is a cuvee all the vineyards, plus a bit from Temperance Hill, all barrels that didn’t make the cut for the vineyard bottlings (but still really good!). And the two Tardive whites. Note – I use the Tardive designation for the later bottling when I do two bottlings of a wine in the same vintage. These are not late-harvested wines, they are late bottled after extended barrel aging, a full year and a half on the lees with no racking. I use old barrels so these are not oaky wines, rather they gain texture with lees contact and generally evolve more depth and complexity. Compare them to the regular bottlings of Blanc and Chardonnay I released last fall. Those only saw 11 months in barrel. I’m looking to have the new offer out February 1 if I can get everything together. You’ll have a few weeks to place your order at pre-release pricing, with payment at time of order and wines available this spring for pick up or shipping. Click here to join the Vincent mailing list, or if the link doesn’t work for your email platform, just right click, copy email address and then paste to your email. From new releases to a few back vintage wines I’m making available, now is the time to get your order in to give Vincent wines as gifts this holiday season. And let’s not forget, it’s always appropriate to gift wine to yourself. Here’s a quick list of what’s available. Send me an email to order and I’ll take care of everything, including shipping arrangements to you or your giftee if necessary. Discounts are 10% off 6 bottles or more, 15% off 12 bottles or more. This entry was posted in Uncategorized on December 3, 2017 by vincentwines.